Set off of downtown Spokane’s core in a building partially covered in concrete, Brooklyn Deli is an unlikely spot for a successful restaurant. “We still get people in who don’t know we’re down here,” says co-owner Mike Bonnes. But he and wife Jody Harville can attest to the successful run they’ve had for the last 13 years. Other than the addition six years ago of Brooklyn Nights, a bar attached to the sandwich shop, the space has largely remained the same. A winning combo of fresh-baked bread, meats sliced in-house and tasty house-made soups and salads has left little room for improvement. 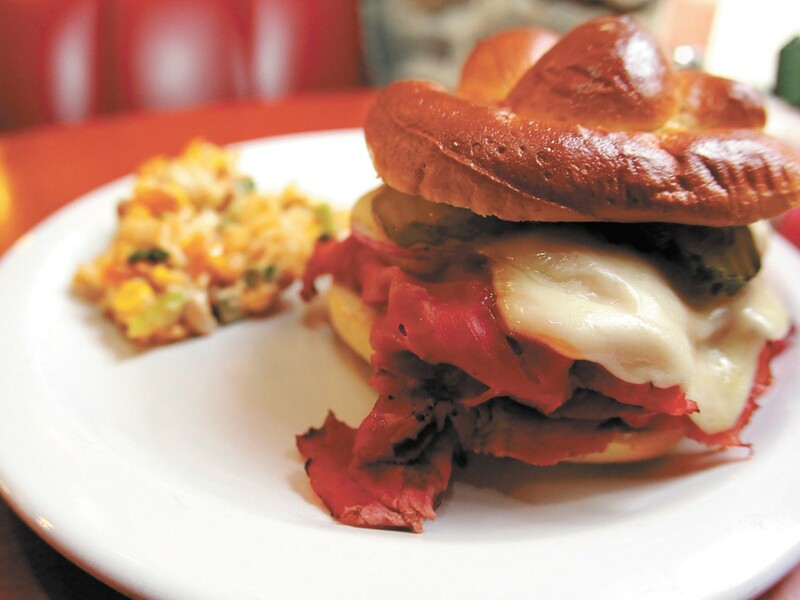 Most sandwiches hover around the $10 mark, including their newest addition, a toasty pastrami and cheese. Bestsellers include the turkey avocado and Chicago Reuben, a twist on the classic that tops corned beef with olives, jalapenos, two cheeses and sweet-hot mustard. Pair it with a one of their 12 brews on tap during happy hour, which runs from 3-7 weekdays, and you’ll become a regular, too.